Words can’t really begin to describe how happy, satisfied, impressed, etc. we were with Haley Jane! Our pictures are absolutely BREATHTAKING!!!! Haley Jane made every moment so comfortable for myself and my husband, our wedding party (including keeping the tiny flower girls and ring bearer engaged), our families, and guests!!! I decided to have a destination wedding in Charleston, South Carolina at Magnolia Plantation in June! Not being able to be in Charleston and meet vendors is a little scary because you are going in blind! I was able to meet Haley Jane in person when she came to take photos for our rehearsal dinner. 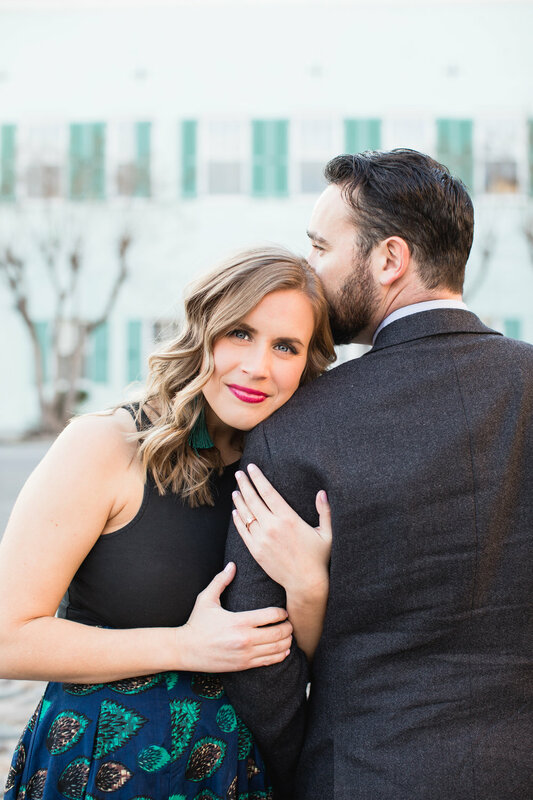 Haley Jane shot our engagement photos in Charleston and they are absolutely amazing! She was efficient, flexible and did such a great job directing us into natural poses! My future husband and I had a great experience working with Haley Jane. She was referred to us by our wedding planner and I was very impressed with her work. Haley Jane Photography is amazing. This girl is so easy going, but down to business, and has no problem directing you for the perfect shot. On your wedding day, you need this because some photographers will dilly dally and be fearful of stepping on toes... Haley Jane takes charge and gets it done. Also, HJ took the time to scope out lighting and backdrops for all of our sessions. She’s a natural. Haley Jane is a gem of a photographer. She had such a fun energy about her and was a blast to work with on our wedding day. She took ideas for photos and turned them into beautiful pictures, framing special memories of our wedding in such stunning ways! I really enjoyed having you as our photographer. From engagement pictures, bridal portraits, to our wedding day! You made every bit of it fun and we loved your sweet, bubbly personality! You are one of the most down to earth, comfortable and fun-loving photographers I have ever met! Having you take our wedding photos was a pure blessing and I have never felt so comfortable or beautiful!